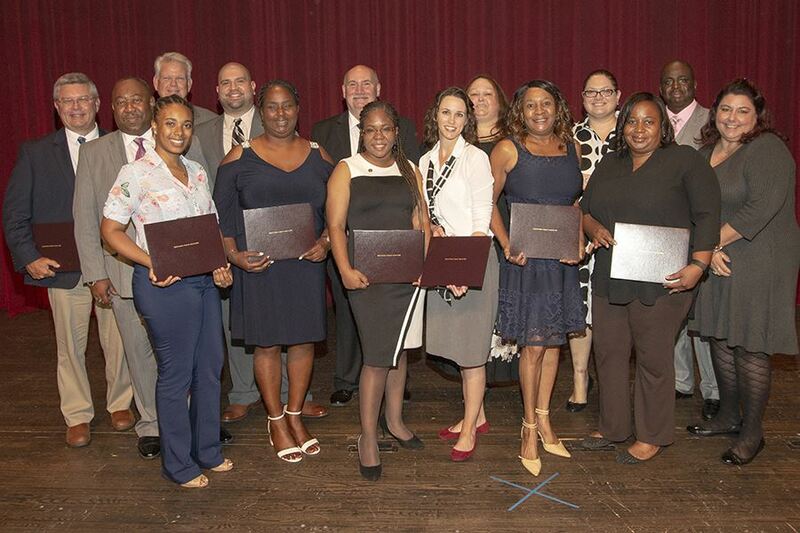 On August 17, 2018, the State of New Jersey Certified Public Manager (CPM) program held its annual graduation ceremony. Seven cohorts concluded, producing 128 graduates. The cohorts were comprised of representatives from diverse public-sector areas such as, emergency management, IT, law enforcement, environmental oversight, employee counseling, finance, and program planning. As administrators, we remain committed to facilitating our CPM students' immersion in “diversity of thought” to ensure that as graduates of the program they have the perspectives and resources needed to excel in today’s globally competitive workforce. at Ruby Diamond Concert Hall. The Florida Certified Public Manager (CPM) program is honoring 353 new graduates this summer, bringing the total number of CPM graduates in Florida to approximately 6,260 — more than any other state. The CPM program is a nationally recognized leadership development program currently delivered in 38 states. The purpose is to develop more effective public managers and improve services to all Florida taxpayers. Three separate CPM graduation ceremonies are taking place this summer, each the culmination of a three-day leadership conference. Today, 181 students received their certification during a ceremony at Ruby Diamond Concert Hall in Tallahassee. The program will honor 108 new graduates Aug. 30 at the Bartow Civic Center in Bartow and 64 new graduates Sept. 14 at the North Collier Regional Park in Naples. Florida has one of the most successful CPM programs in the country. It is administered by the Florida Center for Public Management at Florida State University, which is part of the Askew School of Public Administration and Policy. Graduates have completed a rigorous two-year program, including 32 days of training, plus required projects and exams. More than 100 government agencies, including cities, counties, state and constitutional offices, have participated in the Florida CPM program. For more information on the CPM program, visit www.fcpm.fsu.edu. On August 11, 2017, there were 123 proud New Jersey public servants who graduated from the New Jersey Certified Public Manager (CPM) Program delivered by Rutgers School of Public Affairs and Administration (SPAA). The graduating class was comprised of varied public sector leaders from across New Jersey. Graduates included: a town Mayor, State Division Director, Police Captain, Business Administrator, Battalion Chief, City Clerk, and Employment Supervisor (to name a few). The graduates exemplify dedicated public servants who contribute the diversity of intellect in practice that the Civil Service Commission and Rutgers University strive to achieve with the CPM program. Through their pursuit and completion of the CPM credential, graduates demonstrated their commitment to develop leadership skills and apply public sector best practices. As a notable example of these standards, the Askew Award was presented to Christina Oatman, of the Cherry Hill Fire Department, in recognition of her exemplary capstone project, “Facing a New Threat: A World of Shifting Paradigms”. There were seven other graduates recognized for their notable capstone projects at the graduation ceremony. June 22, 2017 - UW Tacoma celebrated the accomplishment of nine new Certified Public Managers. Two additional students are on track to complete requirements in 2017-18. This was a challenging year for this CPM cohort that started with 12 students. The program, which takes a year to complete, saw several medical emergencies both in and out of class, and the arrival of a new bouncing baby boy. The group met on the last day to present their capstone projects and celebrate as a small group. At the end of the day, they joined the larger Professional Development celebration ceremony where completion certificates were distributed by faculty from each program. 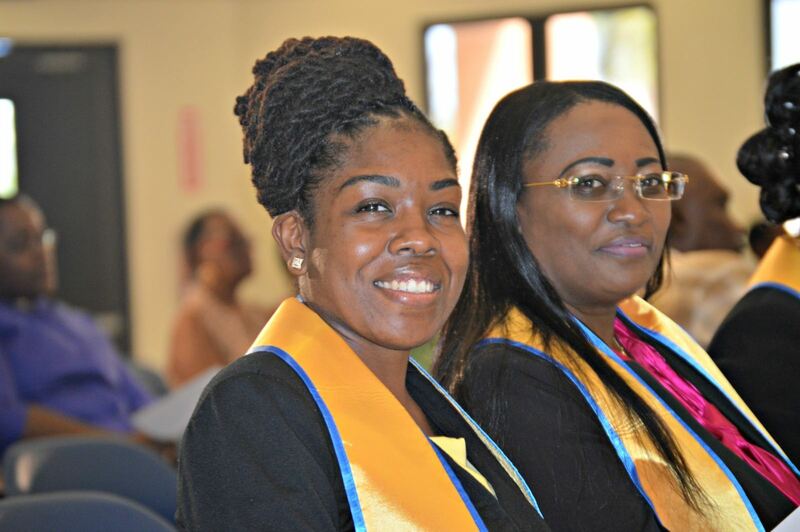 ST. CROIX — September 15, 2016 - Thirteen students — all government employees — on Wednesday graduated from the University of the Virgin Islands’s Certified Public Manager® Program on St. Croix. A similar graduation event occurred the day before in St. Thomas. NCPMC Chairperson, Mary De Lorenzo, attended on behalf of the Consortium. Speaking at yesterday’s event, UVI President Dr. David Hall congratulated the graduates, and urged them to view the milestone not as another certification achieved, but rather an important block in their quest to become better public servants. Graduating from St. Croix yesterday were Florine Audain-Hassell, Legislature of the Virgin Islands, Natalie Bailey, Department of Human Services, Andrea E. Barreiro, Department of Human Services, Desiree Bennett-Felix, Department of Labor, Tresa Civil, Virgin Islands Waste Management Authority, Selma Deterville-DaCosta, Department of Human Services, Laura M. Forbes, Juan F. Luis Hospital, Keverine D. George, Department of Human Services, Sarah Naomi James, Department of Human Services, Debora Nieves-George, Department of Labor, Valcina A. Quashie-Peters, Office of Collective Bargaining, Genevieve Whitaker, Elections System of the Virgin Islands, and Zelda M. Williams, Virgin Islands Housing Authority. On Friday, Aug. 5, 2016, exactly 100 New Jersey public servants graduated from Rutgers School of Public Affairs and Administration’s (SPAA) New Jersey Certified Public Manager (CPM) Program. 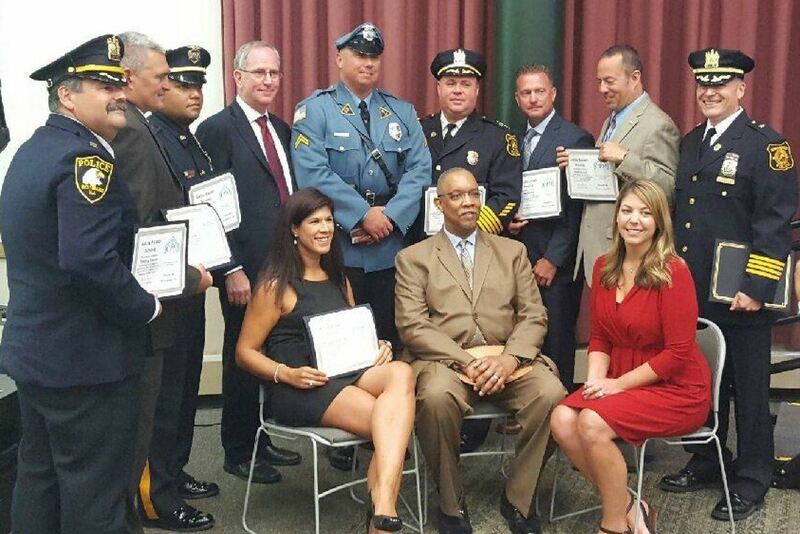 Held in Rutgers University’s Cook Student Center, the ceremony highlighted various facets of public service as certificates were presented to police officers, firefighters, analysts, and managers and directors at the municipal, county, and state levels. Offered through the State of New Jersey Civil Service Commission, and accredited by the National Consortium of Certified Public Managers, the New Jersey CPM Program at Rutgers SPAA equips participants with skills to become more effective leaders and managers within their organizations through courses that teach strategic thinking, budget processes, administrative law, and management, among other topics. Two graduates were presented with Askew Awards – bronze medallions awarded to CPM graduates whose capstones serve as examples of excellence in public service by bringing measurable change to government, improving customer service, and empowering vulnerable populations. Wayne Jeter, the manager of training for the State of New Jersey Civil Service Commission, presented the awards to Corporal Timothy Brown of the Glassboro Police Department and Sergeant Denise Palmisano of the Monmouth County Sheriff’s Department. Jeter also recognized 13 award nominees with notable capstones.